We have all heard the dreaded words before: gum disease. It is thrown around in warning tones in dentist offices everywhere, but how many of us actually know what gum disease is, what causes it, and how to help prevent it? 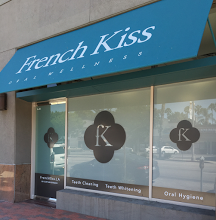 The experts at French Kiss Oral Wellness, a dental spa in Encino, California, can help with problems related to gum disease, plaque buildup, and more. This boutique spa specializes in teeth cleaning, one of the most crucial elements in preventing gum disease, bad breath, and tooth decay. So, what exactly is gum disease? Also referred to as periodontal disease, gum disease can range from mild to severe, depending on how soon it is treated. Mild gum disease usually involves inflammation and redness of the gums, while severe gum disease can damage the soft tissue and bones supporting the teeth. In the most extreme cases, gum disease can result in teeth loosening or falling out. The early stages of gum disease begin with a buildup of bacteria, or plaque, on the teeth. At this point, the plaque under the gum line hardens and forms something called tartar, which becomes a breeding ground for more bacteria. Tartar can only be addressed by a dental health professional, but if it goes untreated, it causes the gums to swell and the formation of full-on gum disease occurs. At French Kiss Oral Wellness, hygienists provide guests with professional teeth cleaning and whitening treatments without any of the costly procedures or intimidating tools you would find at a dentist’s office. People who visit this oral health center can also receive oral exams, oral cancer screenings, x-rays, professional cleanings, and in-office teeth whitening at competitive prices and convenient hours. That means no more waiting months to get in a dental appointment—this elegant spa offers guests extended hours and easy online booking options. You can book an appointment online immediately with no hassle involved, or check out the French Kiss Oral Wellness Facebook page and Twitter page to find out more information. To speak to a member of their friendly team, give them a call at (818) 290-3162.